For many years lack of electricity made it difficult for Fr. 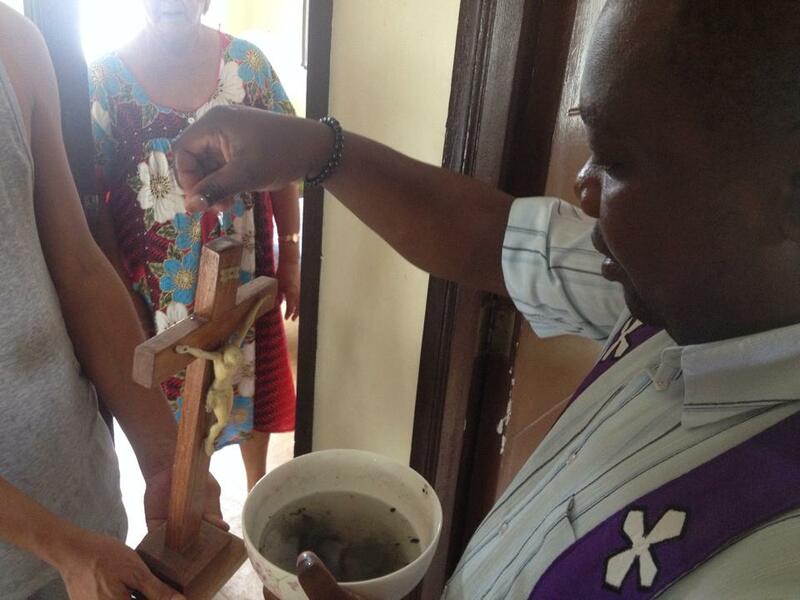 Kornelis LaTabo, a missionary serving the Kabinda, Tsikapa, and Munkamba parishes, to celebrate the sacraments and organize other pastoral activities. Meetings and training sessions had to be held mostly during the day, making it impossible for many people to attend because of their day jobs or other conflicts. Now, thanks to the installation of solar panels at the three parishes, there is greater scheduling flexibility— and a brighter place to learn, worship, pray, and celebrate the Eucharist. Bois de Laurence, Haiti is an interior village in a mountainous region. Its greatest asset is a system of potable water. Here Missionhurst missionary Fr. Freddie Lucena works among his parishioners, most involved in subsistence farming or charcoal-making. 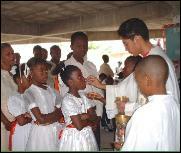 The parish school provides elementary education. Due to a shortage of financial resources, however, ongoing training and skills development for teachers and catechists have been neglected. Thanks to our sponsors' support of Fr. Freddie’s missionary efforts, training and development programs are now available–and the children of Bois de Laurence can benefit from a better education. Fr. Bernard Masson, a native of Belgium, serves in our Lady of Fatima parish. The parish comprises nine established basic Christian communities, and three newly formed basic Christian communities, which lack meeting facilities. 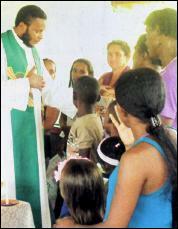 Of these new communities, St. Therese of the Child Jesus is the poorest. In addition to commuting on a daily basis to their low wage jobs in Rio de Janeiro, parishioners also commuted to various neighboring facilities to celebrate the Eucharist and participate in pastoral activities. Thanks to the generosity of our sponsors and the poor parishioners’ willingness to do the labor themselves, they now have a community center where they can worship, hold Bible and catechism classes, and even deliver health care to the children of their community.